Many pre-licensed therapists and student therapists enter a graduate program with the express intention of working in private practice. Unfortunately, not many (if any) psychology, counseling, or social work programs are developed to prepare you for launching a private practice. The focus for most psychology students and graduate students is "after I'm licensed I will..." The vision is that once they go through this strenuous process of licensure- the other pieces will come together. I help licensed therapists market their psychotherapy practices daily. And guess what? The process of getting licensed doesn't necessarily prepare you for the process of opening a private practice successfully. Good news for pre-licensed therapists who plan to go into private practice! Here is the good news. Actually, here is the great news. The process of preparing for private practice WILL make you a better therapist, counselor, or clinician. How cool is that? In fact, the process of preparing for your future private practice might even help you gather hours faster, develop a better clinical intuition, navigate the process of licensure with more ease, pass your licensing exams, and get paid better! Preparing for private practice WILL make me a better therapist? 1. Successful private practices have referral sources. Now, this might sound simplistic, and redundant. Stick with me for a second. In order to have a consistent pool of clients, people have to know you exist. Simply putting up a website, or sharing your business cards won't magically fill a private practice with paying clients. You need to be known. People need to know what you do, understand the value, and be excited enough to remember you and share your name with others. How does this make me a better therapist? It forces you to build relationships in your community. This doesn't mean you have to be an extrovert, or be on TV if that isn't your thing. However, you do need to build solid relationships with people out in the world. That means getting to know them as well. This means you will have more access to resources when your clients need them. This also means you are less likely to be isolated, stressed out about getting clients, and burn out in the future. All of that means you will be a better counselor! 2. Successful private practices understand their unique value. I know you may have been taught in school about many theories, psychotherapy processes, evidence based practices, etc. However, here is the truth: You bring something unique to the table. I agree that in most cases, just bringing your "you-ness" without any background or training won't be clinically impactful. I also believe that really great therapists begin to understand why they are good at what they do, what they are good at, what they need to work on, and who they should refer out. How does that make me a better therapist? If you can't identify what you are good at, how you can identify what you aren't doing well in? If you don't believe what you specifically do as a therapist has value, why would anyone else believe that and pay you for it? If you don't believe what you do has value- will you be looking to your clients to validate your work? How will that impact your clinical work? This may seem like a repeating of #2- but it isn't. Many therapists who understand they bring something deeply unique and valuable to their work- struggle to convey that in words to others verbally and in writing. This ability to convey our value in words is an extension, or sometimes even a precursor, to finding our deep clinical voice. Seeing a therapist tap into, and settle into their deep clinical voice is like watching your child take their first steps. It is an amazing, beautiful, tear producing, scream in delight sort of moment. And hearing how that newfound confidence and peace transforms their work with clients- it is the stuff that makes my job awesome. 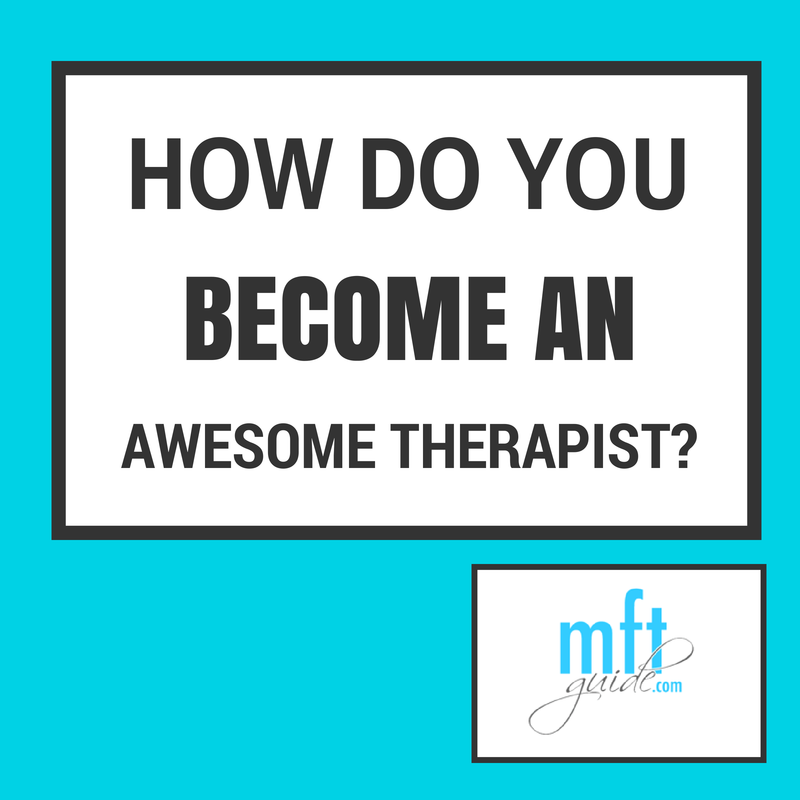 Have you ever met a therapist where it just feels good to be around them. When they talk about what they do- it makes you smile? That is someone who has tapped into their passion, into their clinical voice and they have the words and confidence to convey it. But, you don't understand... I'm just a student... I'm just an intern... I've got years for these things to naturally develop! Truth moment: These will only develop if you give them attention. Just like we teach our clients, where we put our focus and energy is where we see development. If you focus your attention in these areas starting today, you will see major shifts between now and licensure. If you focus on simply "getting licensed" you will find you "get licensed" but not necessarily feel confident, be known, and know who you truly are as a therapist. The coolest part? When you focus on these aspects of your development, you will find major opportunities will come to you. You will find out about jobs before they get posted online, you will get letters of reference that land you interviews, you will get people offering you opportunities that they just wouldn't offer to someone they didn't know and believe in. Go out, get to know your community, let your community get to know you- and get to know and love yourself. All of these are pieces of successfully marketing a private practice now and in the future! Go! Be great! Now, comment below what you will do TODAY to go out into the world and be great! And, of course, if you want more fun stuff like this- feel free to get on the list for free tip sheets, podcasts, and trainings geared towards the needs of pre-licensed therapists and clinical supervisors.